Marian heads the UK insurance and disputes practices working closely with the firm’s established trade and export finance team, and U.S.-based disputes team, offering advice on insurance, risk management and commercial dispute resolution. With over 20 years' experience, Marian advises banks, insurance brokers, investment funds, government agencies and corporates on commercial insurance arrangements which support structured trade, commodity and pre-export financing as well as corporate finance, energy, property, M&A and outsourcing transactions. She also drafts and interprets insurance policies and advises on the use of insurance by credit institutions and investments firms as credit risk mitigation for capital adequacy purposes under the Capital Requirements Regulation. 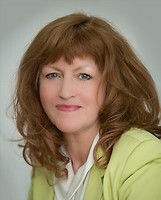 Marian’s contentious experience includes advising clients in relation to disputes arising from trade credit, professional negligence and transactional disputes. These disputes are often international in nature and result in large-scale, highly complex multi-party litigation and arbitrations.